Too often, change initiatives that begin with a surge of enthusiasm and good intentions, end up back where they started. People frequently begin well – applying new ways of working, such as lean manufacturing or customer service excellence, only to revert back to old habits and routines, leaving leaders frustrated. In my last blog, I looked how old behaviours will re-assert themselves if they are not supported by changed beliefs. So, the obvious next question is, ‘How do we go about the tricky task of changing the beliefs that underpin people’s behaviours?’ The reality is that, short of sending them to a communist-style ‘re-education camp’, we cannot. What we can do, however, is help people formulate new beliefs for themselves. How we do this is based on and understanding of the way people learn and by actively engaging them with the issue in hand. Feedback – people see how things change as a result of their actions. As a result of such endeavours, people will in all likelihood come to a firm belief and conclusion about the issue in hand. For instance, they may come to appreciate how customer expectations are changing and competitors are threatening their company’s market share, and come to the conclusion that the organisation needs a new approach to servicing its customers, based on new technology and new ways of working. This whole approach can seem daunting to leaders. Typically, they pose the question, “What if my people conclude something different to what we want them to conclude?” The answer to this is that they will probably be right, so you need to be confident in your proposed change. Equally, they may point out some shortcomings in your plan, which you can then correct before forging ahead. Leaders may also wonder, “Why do I need to go to all this expense and effort, when I can just tell people what they need to know?” The simple answer to this is that significant change comes a price, but it’s a price worth paying when the alternative is likely to be failure. My last three blogs have been about helping people to change their behaviours and stick to them for the long term. To summarise, you first need to help people recognise when they are rationalising old, unhelpful behaviours, and challenge themselves to stay the course. You also need to help them to make up their own minds – changing their underpinning beliefs as well as their behaviours. 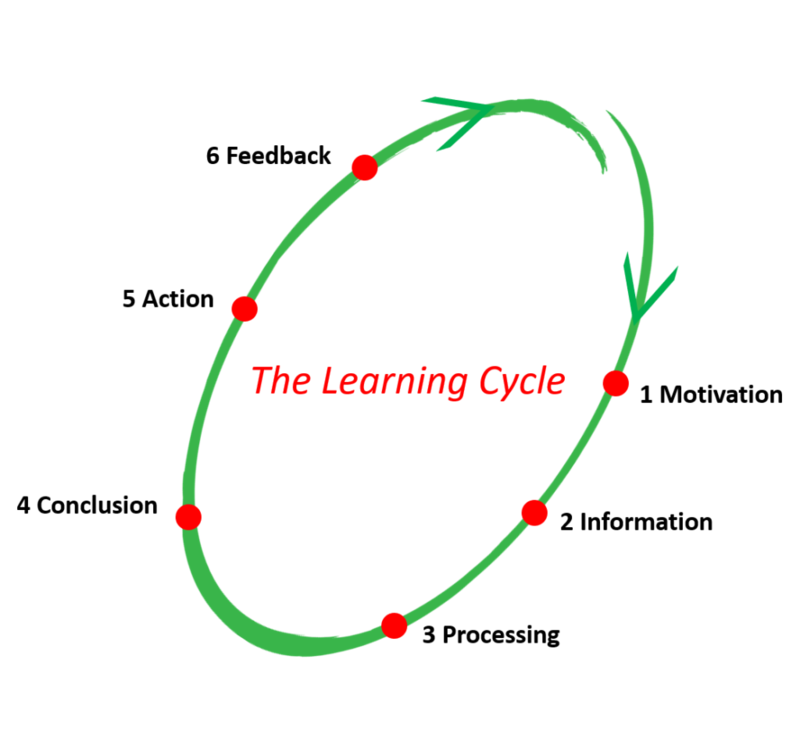 And, finally, never try to short-cut the Learning Cycle if you want change to last!